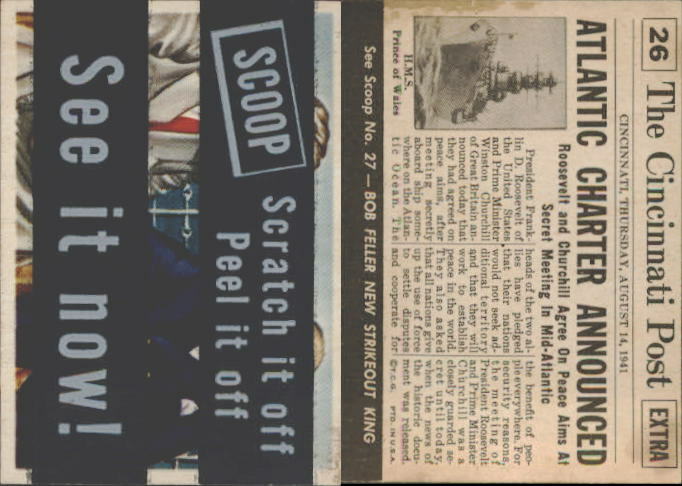 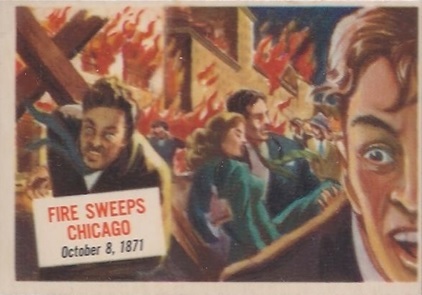 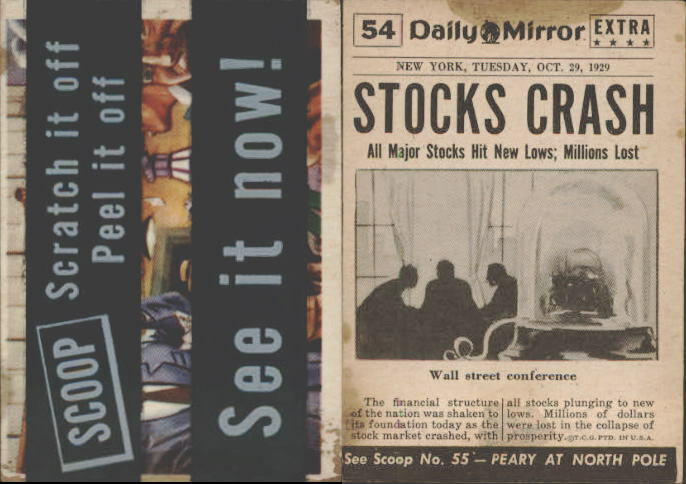 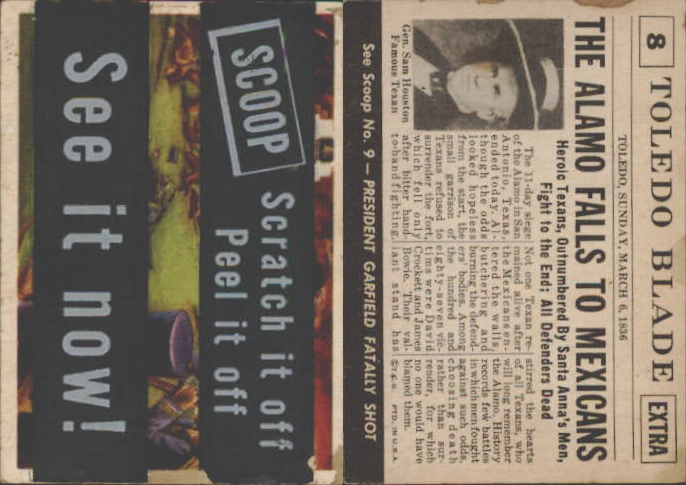 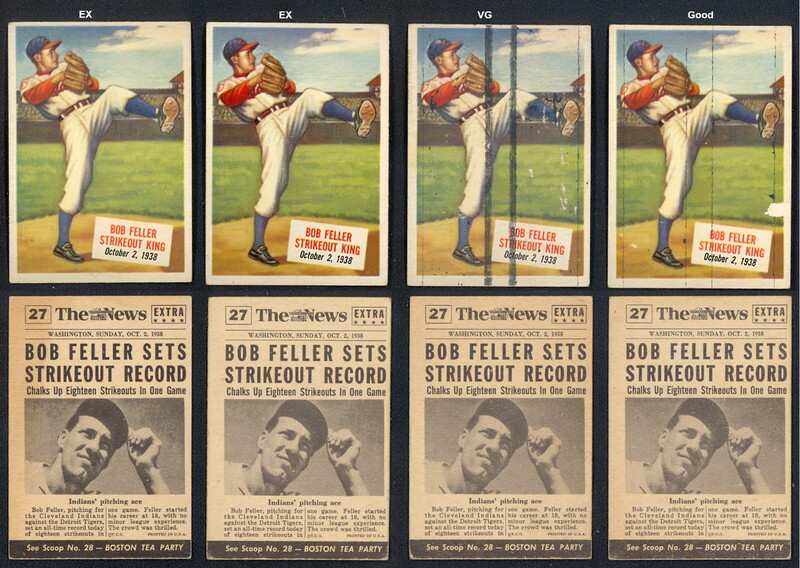 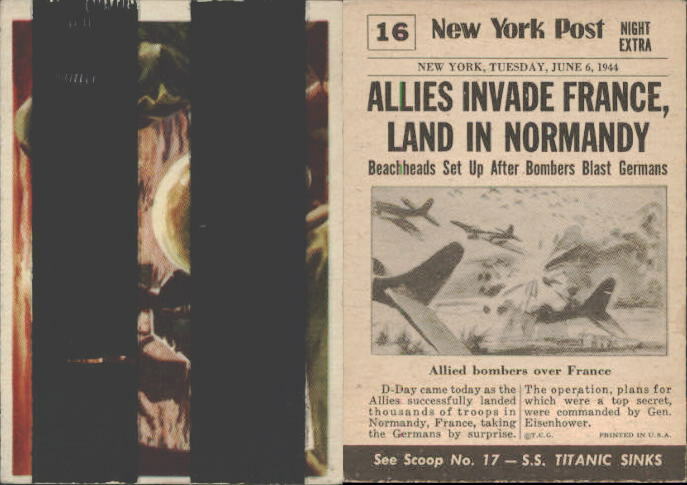 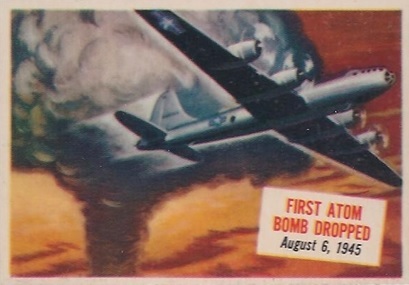 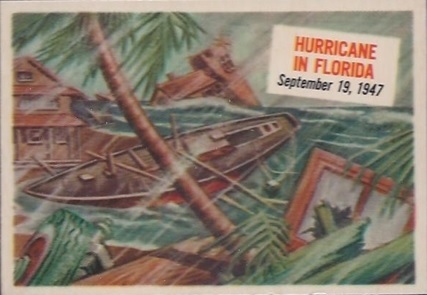 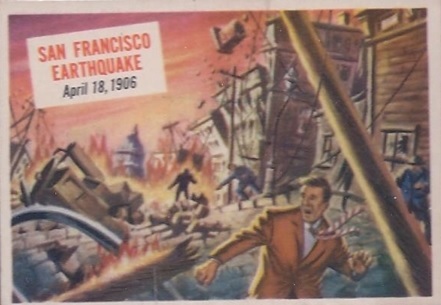 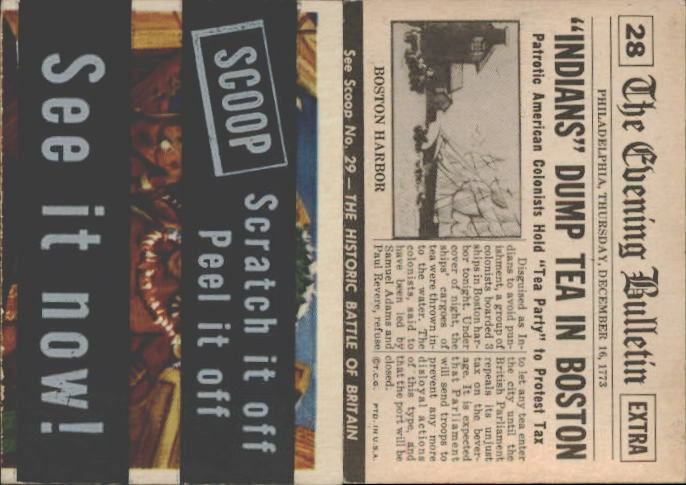 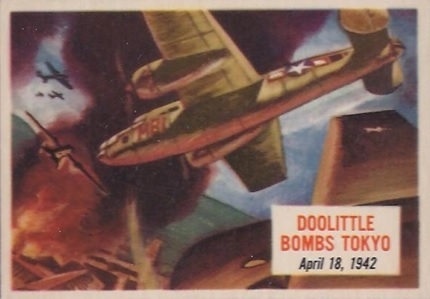 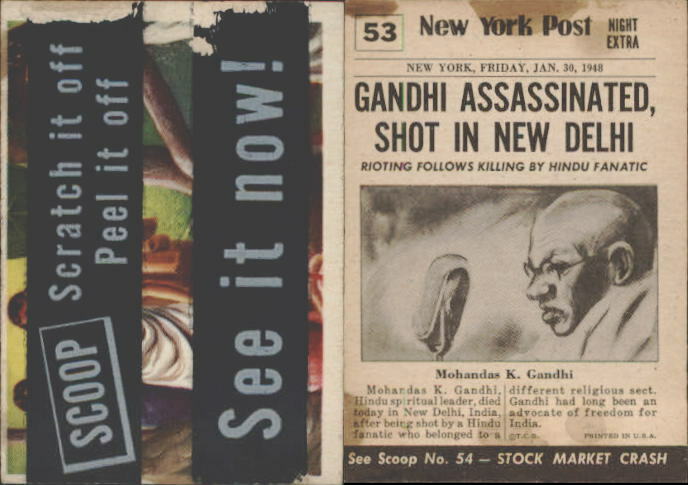 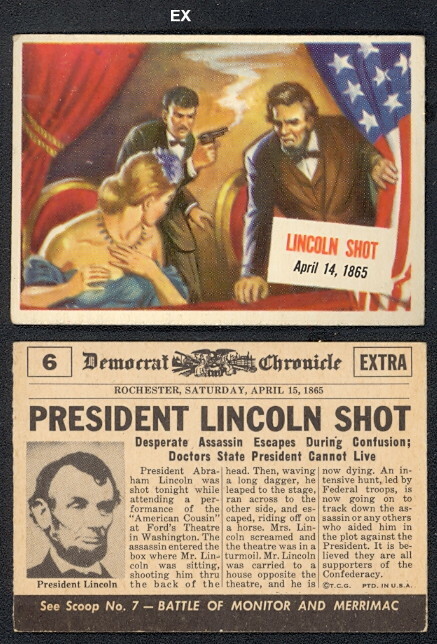 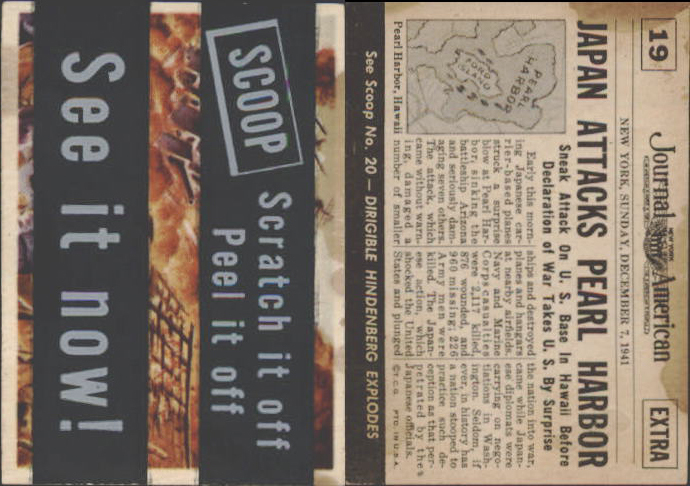 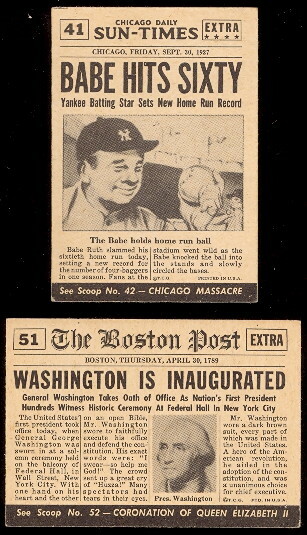 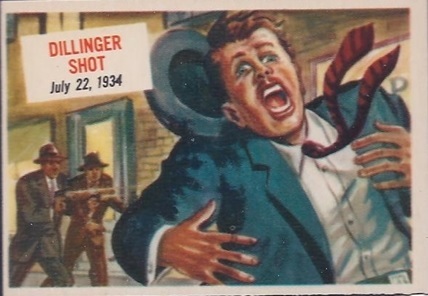 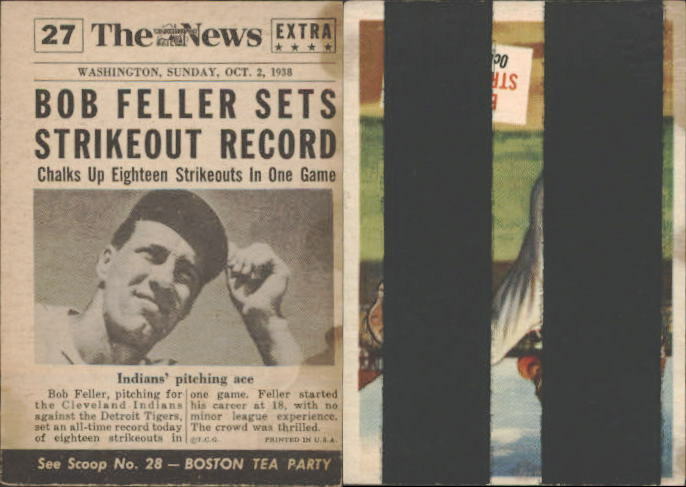 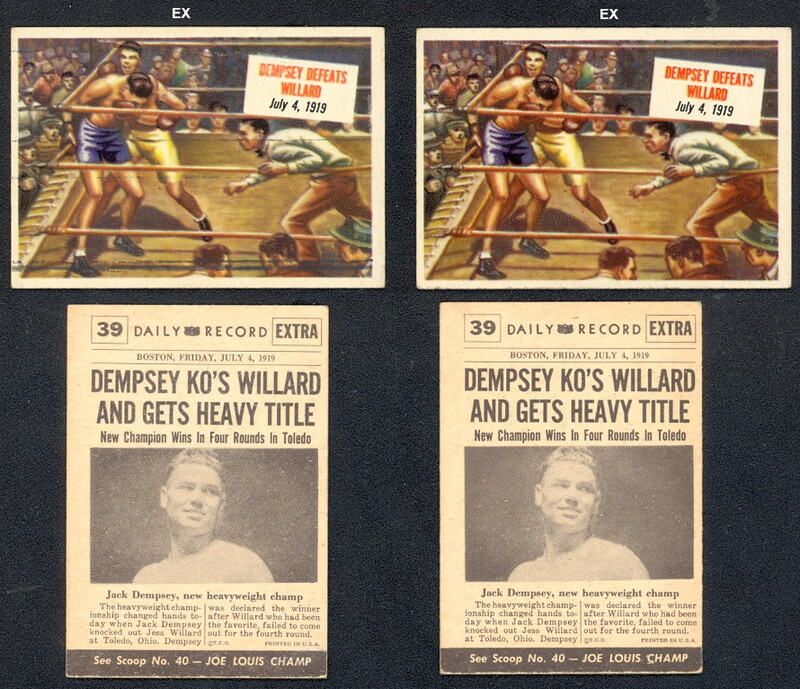 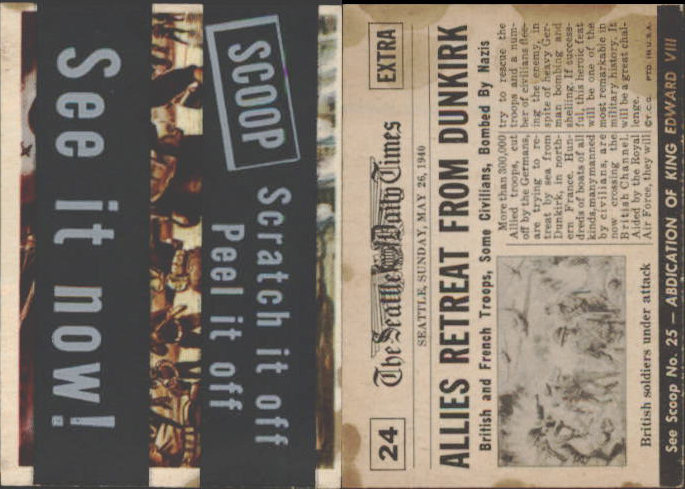 The 1954 Topps Scoop set features headlines from history in a newspaper type format. 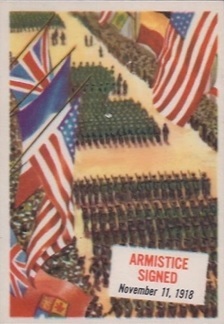 The set contains 156 cards; series 1 numbered from 1-78 and series 2 numbered from 79-156. 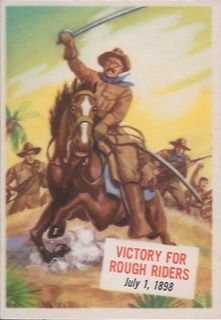 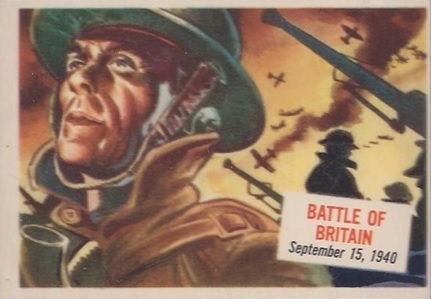 The second series is more scarce. 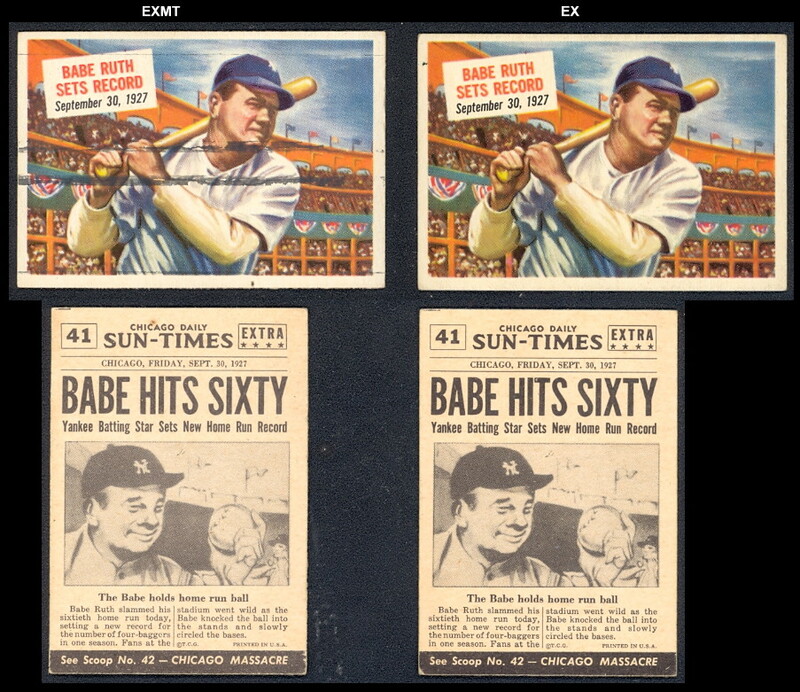 The set contains several sports stars including Babe Ruth, Bob Feller, Joe Louis, Jack Dempsey, Ben Hogan, and Jessie Owens. 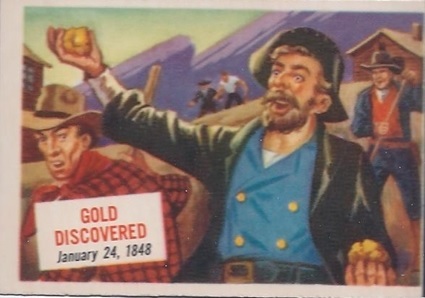 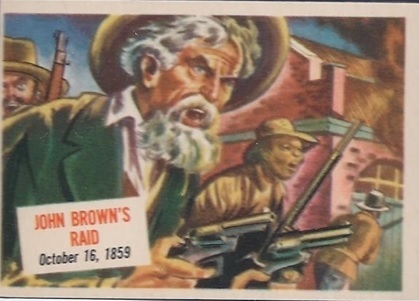 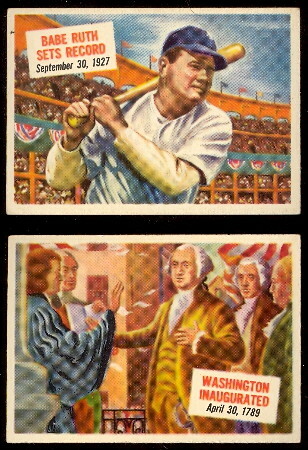 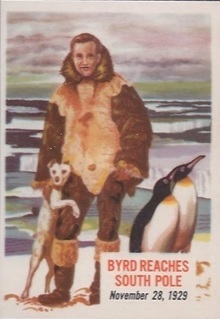 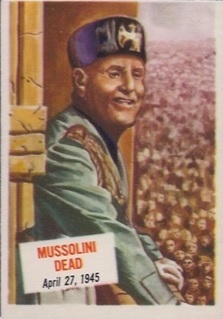 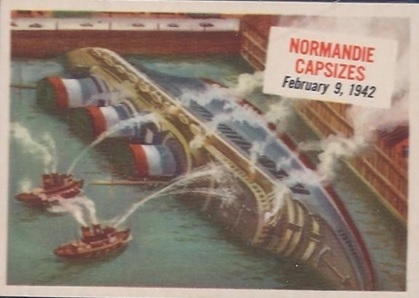 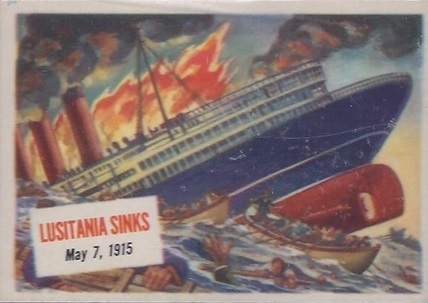 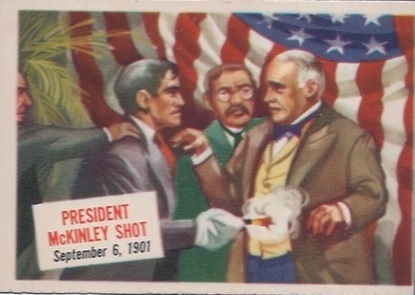 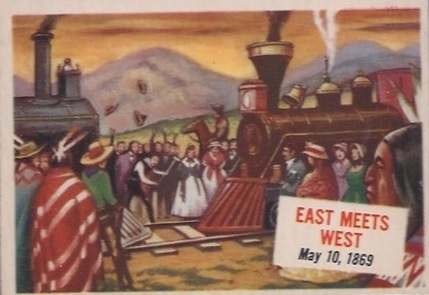 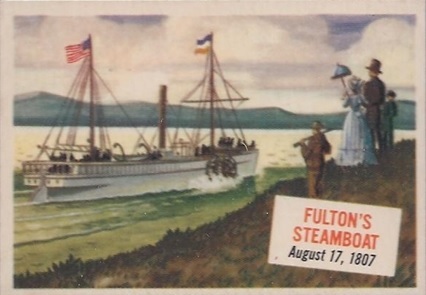 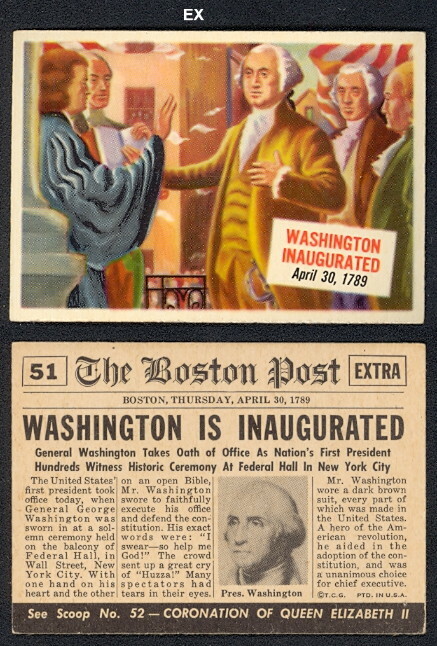 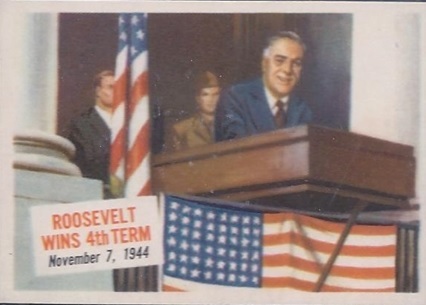 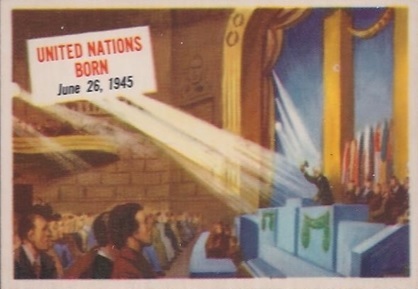 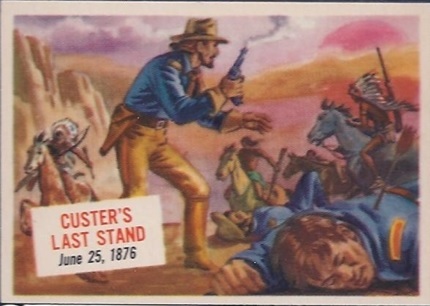 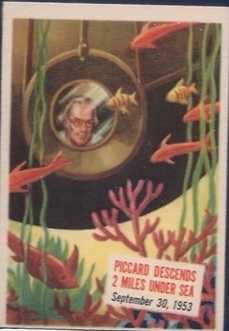 Other cards feature presidents, kings and queens, inventors, Indians, pirates, and other historical figures. 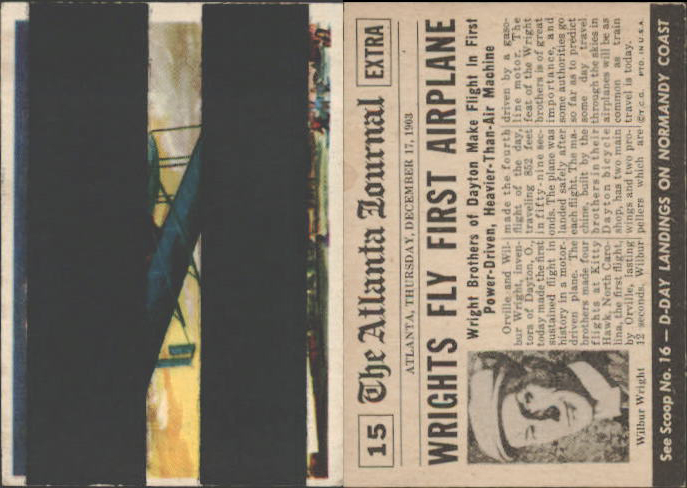 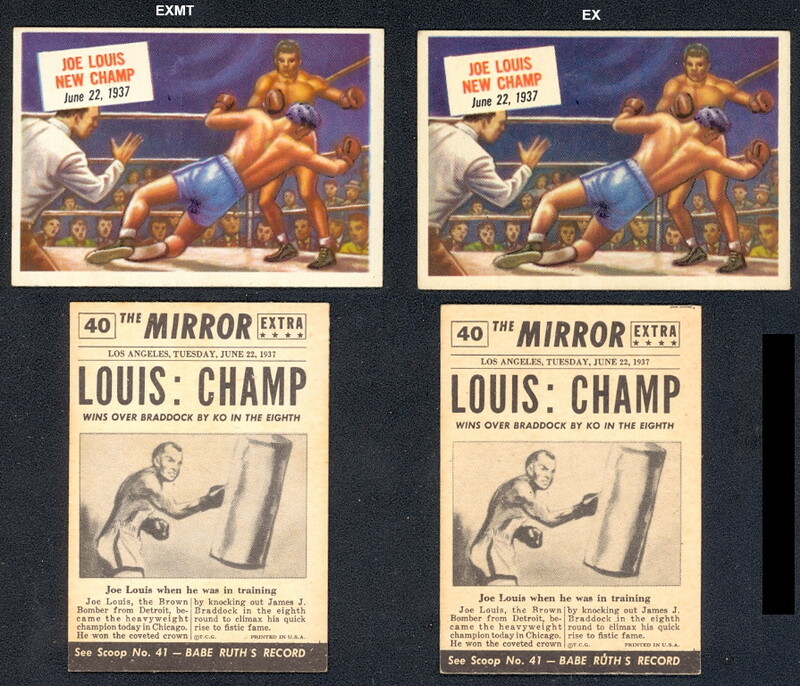 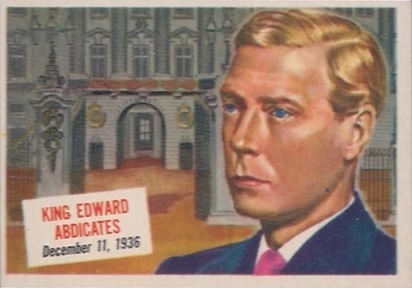 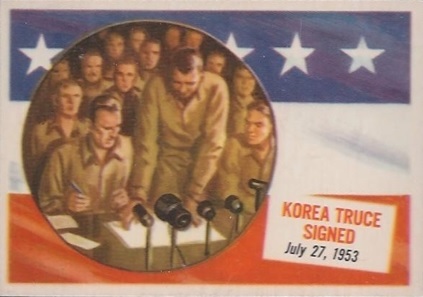 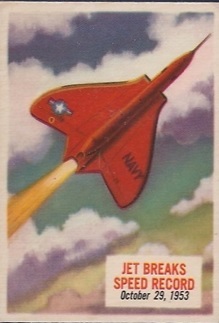 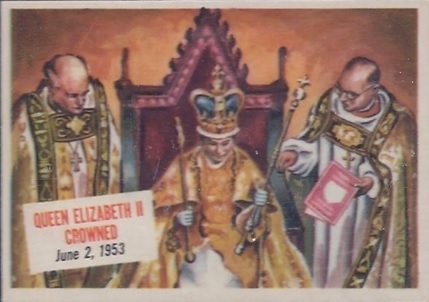 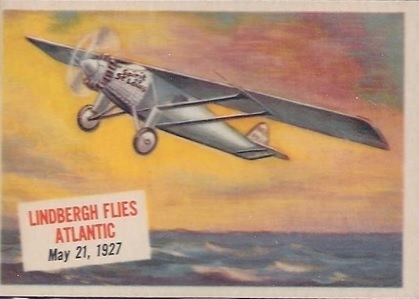 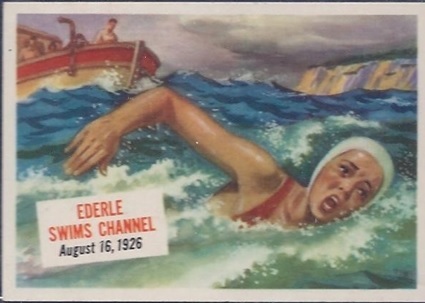 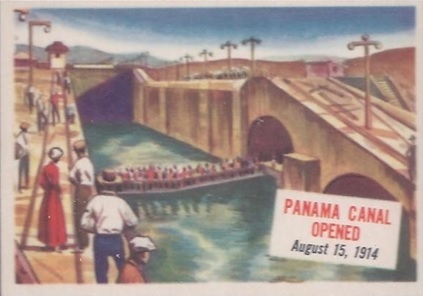 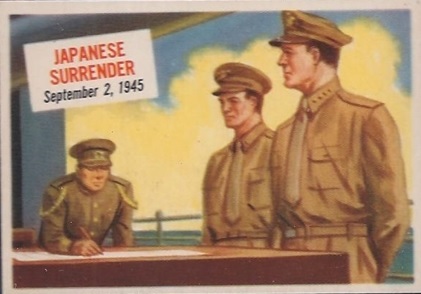 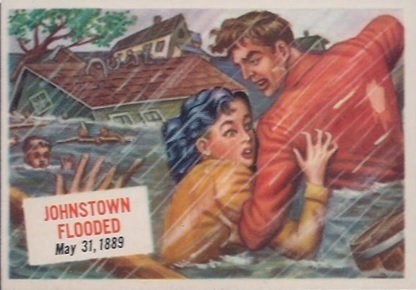 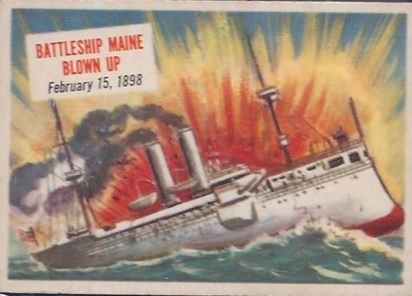 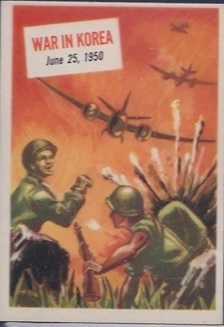 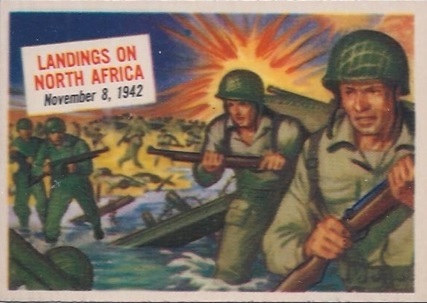 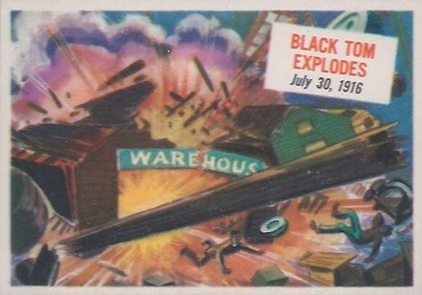 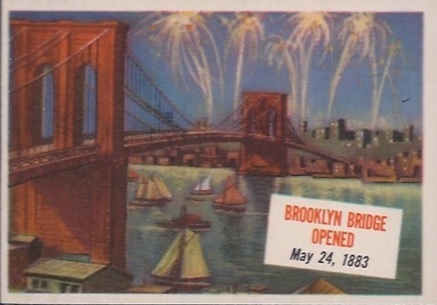 The cards were originally issued with 2 black bands across the front which was meant to be scratched off to show the entire card. 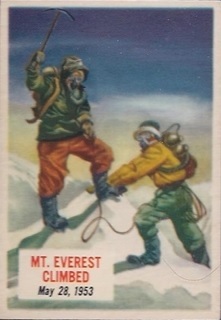 The cards measure 2" x 2-7/8" in size.